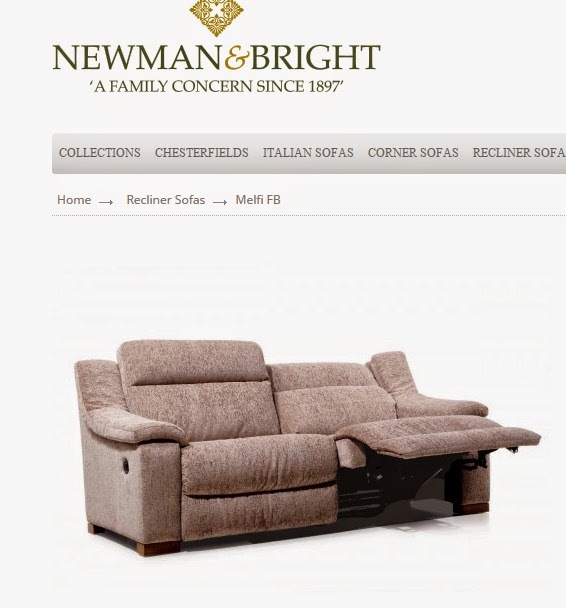 Home » Reviews & Adverts » One day, I’ll have a reclining sofa! One day, I’ll have a reclining sofa! Presently, I have my own 2 seater sofa and the super wonderful husband has a reclining chair. We both like to stretch our legs while watching TV so having our own space is nice. However, I often think how much nicer it would be to be able to sit together while still being able to stretch our legs. We’ve been married nearly 10 years and as far as I can remember, we’ve never watched TV at home while sitting next to each other! 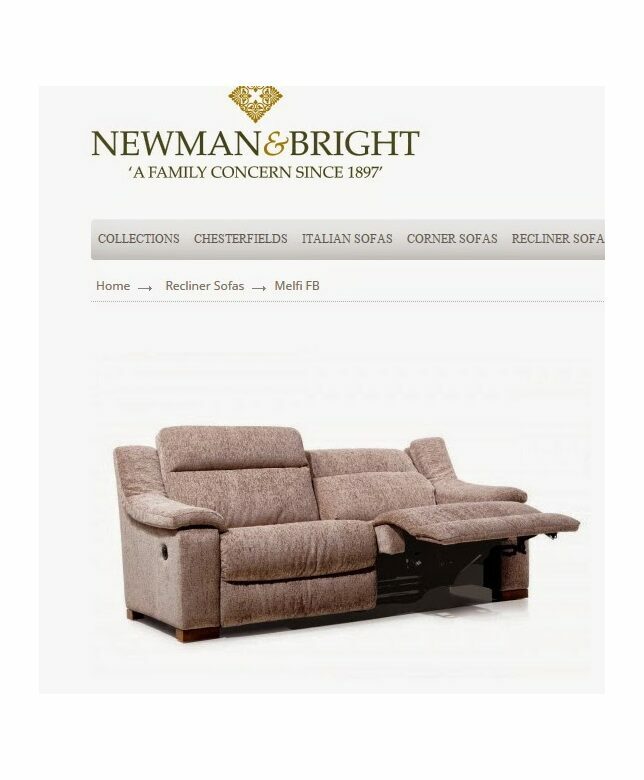 I’ve seen a gorgeous sofa on Newman and Bright that looks really comfy and I can just see us watching the latest episode of Bones, all snuggled up together! Thinking realistically though, we’d probably have to wait until the kids were older; Ant’s not keen on leather sofas and grubby fingers would stop this looking so nice in a very short space of time. My fella and I don't sit together and watch tv either….lol I have my armchair and he has the sofa.